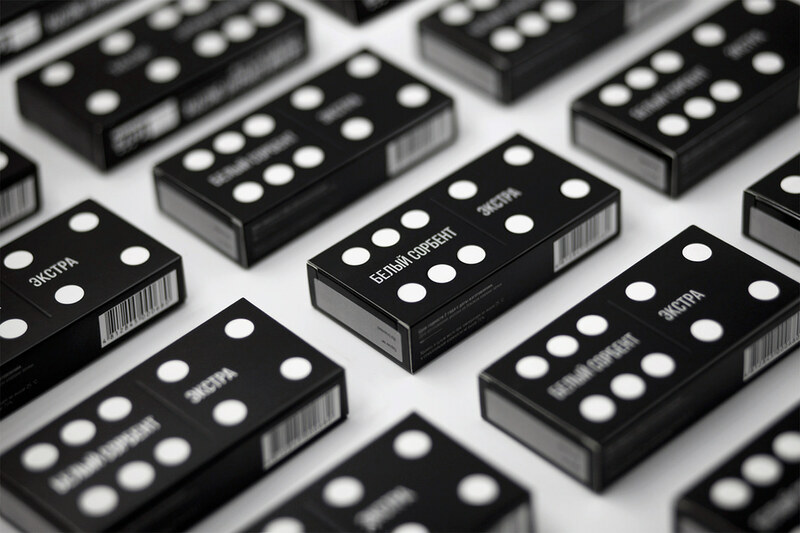 Problem Develop a premium package design for Dietary supplement"White sorbent Extra".​​​​​​​ Idea: "The Domino principle" To achieve the goal you need to start from small things. 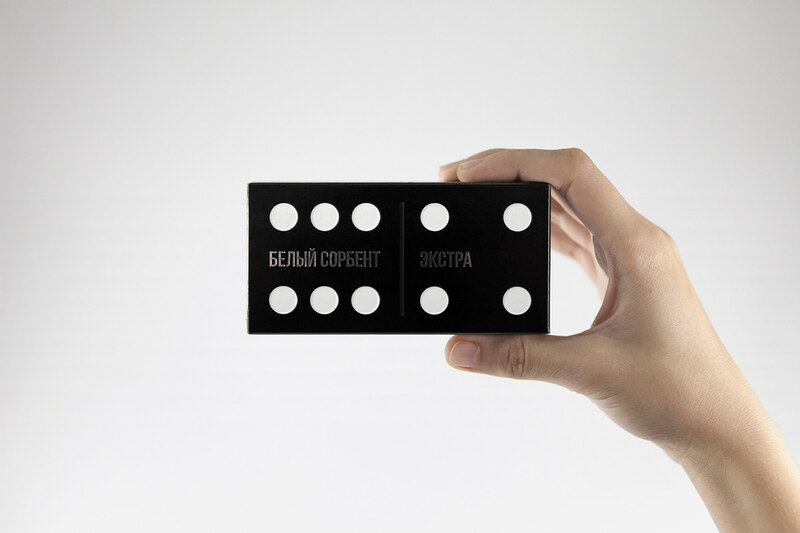 The first step will cause a chain reaction of new one, which then provoke each other, and so on in a linear sequence, according to the domino principle. 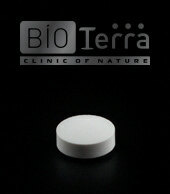 The same with our health: it’s enough to start with the first pill. 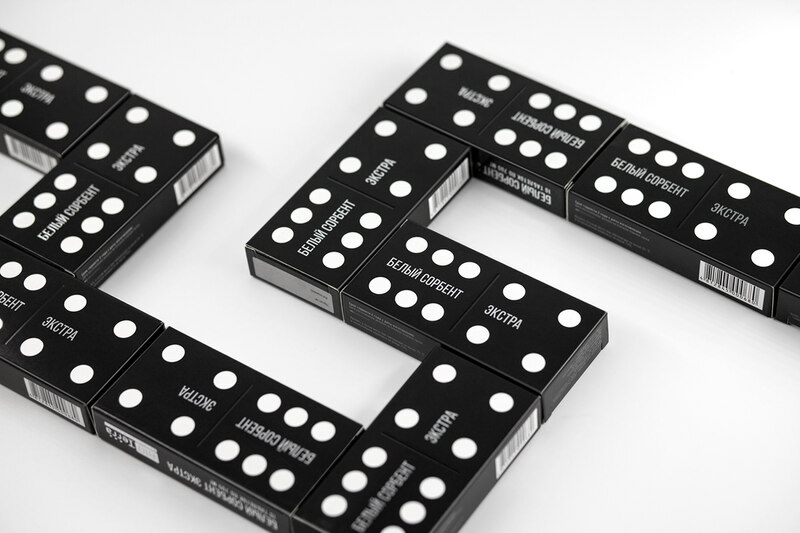 Description Packaging is in the form of dominoes with a pattern 6 | 4. 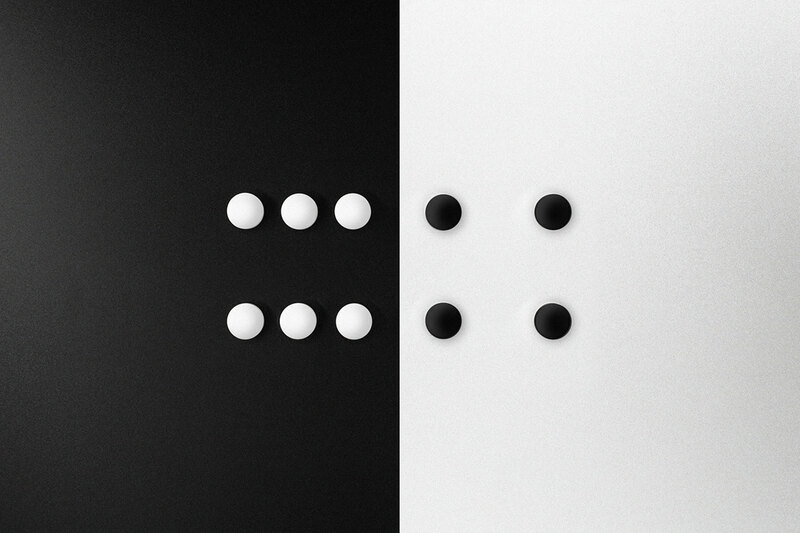 White circles are associated with white tablets, which are embossed to conveyamore exact similarity to the original dominoes. 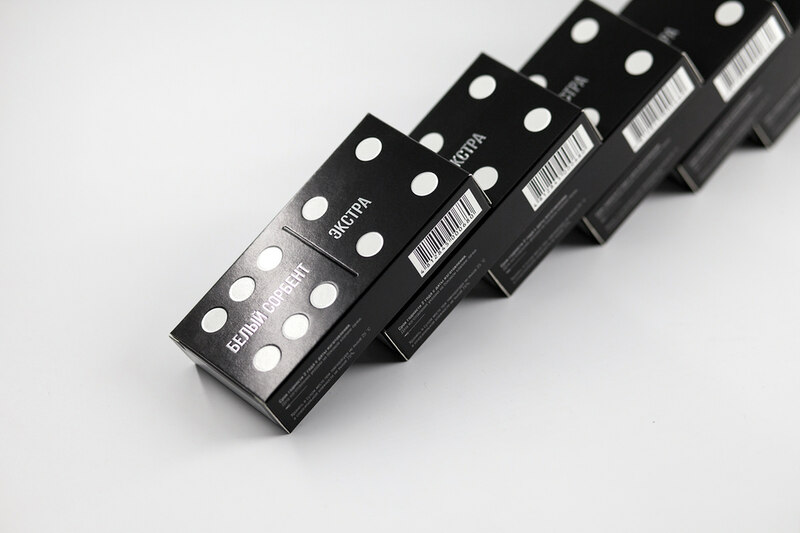 The name is made by foil stamping. The number of tablets in the package is the same that on the front side of the pack. 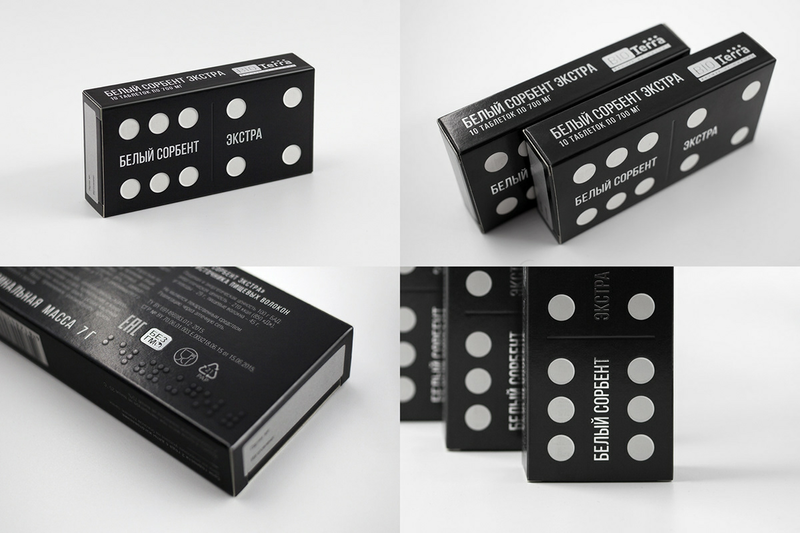 In plans to expand the line in this segment and create "Black Activated Carbon" in the white packaging with black circles on it.